Determination of aluminum (Al), beryllium (Be), cadmium (Cd), chromium (Cr), mercury (Hg), manganese (Mn), nickel (Ni), lead (Pb), and thallium (Tl) concentrations in human blood using high-frequency modulation polarization Zeeman graphite furnace atomic absorption spectrometry (GFAAS) was performed. No sample digestion was used in the current study. Blood samples were diluted with deionized water or 0.1 % (m/v) Triton X-100 solution for Tl. Dilution factors ranged from 1/5 per volume for Be and Tl to 1/20 per volume for Cd and Pb. For Tl, Cd, and Hg, noble metals (gold, platinum, rhodium, etc.) were applied as surface modifiers. To mitigate chloride interference, 2 % (m/v) solution of NH4NO3 was used as matrix modifier for Tl and Ni assessment. The use of Pd(NO3)2 as oxidative modifier was necessary for blood Hg and Tl measurement. Validation of the methods was performed by analyzing two-level reference material Seronorm. The precision of the designed methods as relative SD was between 4 and 12 % (middle of a dynamic range) depending on the element. For additional validation, spiked blood samples were analyzed. Limits of detection (LoDs, 3σ, n = 10) for undiluted blood samples were 2.0 μg L−1 for Al, 0.08 μg L−1 for Be, 0.10 μg L−1 for Cd, 2.2 μg L−1 for Cr, 7 μg L−1 for Hg, 0.4 μg L−1 for Mn, 2.3 μg L−1 for Ni, 3.4 μg L−1 for Pb, and 0.5 μg L−1 for Tl. 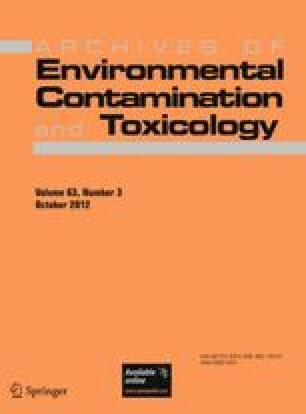 The LoDs achieved allowed determination of Al, Cd, Cr, Mn, Ni, and Pb at both toxic and background levels. Be, Hg, and Tl could be reliably measured at toxic levels only. The methods developed are used for clinical diagnostics and biological monitoring of work-related exposure.